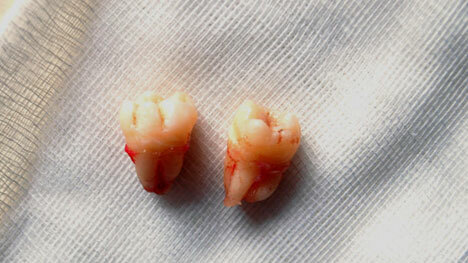 Do Vestigial Organs Prove Evolution? As I read Roger Paull‘s article, I thought to myself this type of thing should not be happening in the United States. How many people in the United States have their academic freedom denied because they do not believe in Darwinism. Another example of someone whose academic freedom was denied is Roger Paull. In the late 1990s he was expelled from substitute teaching in Arizona because he articulated his belief in Intelligent Design. In the place where we expect academic liberty, the government-funded school, academic freedom in the United States is being aggressively denied to those who do not adhere to Darwinism. Perhaps, Ben Stein should do a sequel to his documentary movie Expelled: No Intelligence Allowed. Are the shades of the American school to be thus polluted? I am afraid they are. 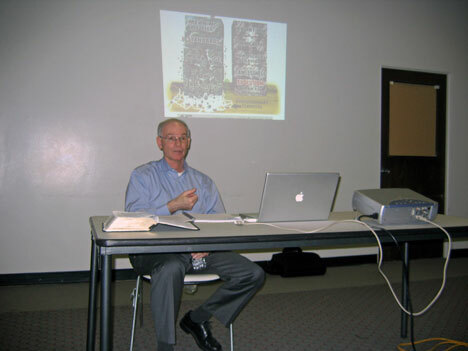 To read Roger Paull’s story, go to Censoring intelligent design. 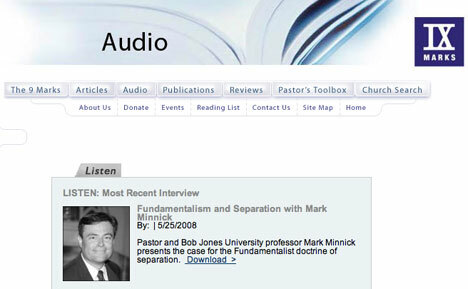 I just listened to Mark Dever‘s interview with Mark Minnick, Pastor of Mount Calvary Baptist Church and Professor at Bob Jones University, about the Fundamentalist doctrine of separation. To listen to this, go to 9 Marks Interviews. What is captivating about the interview is that both Mark Dever and Mark Minnick are obliging in their presentations. Besides being marked by a genuine humility and respect for each other, both Dever and Minnick provide an interesting discussion of areas where they both agree and disagree on this subject. Though not all the issues and questions about the doctrine of ecclesiastical separation are addressed in this interview, the overall discussion provides something of a framework on some issues related to this subject. Additional links for both speakers are available at Andy Naselli’s blog. Since I am somewhat cynical about global warming (for more on my cynicism about anthropogenic global warming, click here and here), I have been sardonically following this frenzy for some time and have noticed that the news media does not generally promote sources that work against the doomsday approach of the global warming activists like Al Gore. Here is an article that provides some caution that will hopefully take some of the force out of the hurricane of global warming. It is disappointing that few have observed the obvious disparity between the computer-generated patterns and those that are observed “and drawn the obvious conclusion that current climate models cannot simulate properly the processes of the real atmosphere and that the anthropogenic effect on climate predicted by models are still too small to be noticeable.” To get the full impact of this article, continue reading Dr. Singer’s “The Global Warming Debate” (HT: John Hinderaker). 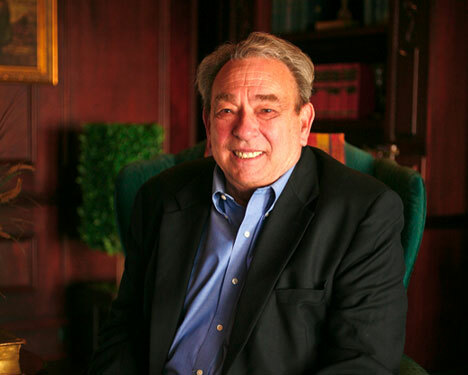 After my conversion in the late 1960s, I remember hearing Dr. R. C. Sproul speak on a number of occasions. Back in those days as a Freudian Psychology major in college, Sproul’s Calvinistic teaching was something of a theological electroshock therapy for my man-centered perspective on life. Since then, I have profitably read a number of Dr. Sproul’s books. For many years, I was under the impression that he was sympathetic to the framework hypothesis. However, my impression was corrected in 2001 when I read the July issue of Tabletalk, which focused on the subject of creation. In an article entitled “Galileo Redux,” Sproul stated that, after reading Douglas F. Kelly’s Creation and Change, he became convinced that God recently created the universe in the literal creation week described Genesis 1. Yesterday, I was privileged to speak about “Two Contrasting Worldviews” at the Campus Bible Fellowship at Wayne State University. 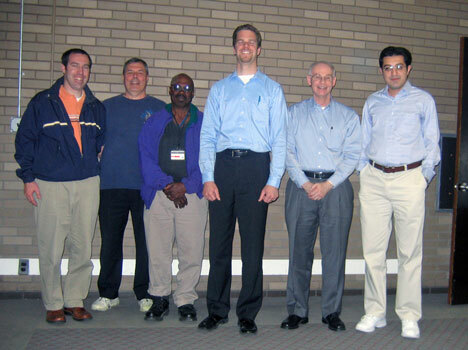 Inter-City Baptist Church in Allen Park, MI is the local church partner for Campus Bible Fellowship at WSU. 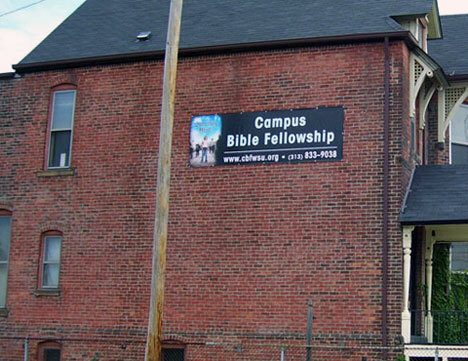 CBFWSU was given charter recognition in February of 2005 by Campus Bible Fellowship (to read more, click here). The following picture is from my conclusion contrasting a Biblical-Creation Worldview with that of an Evolutionary Worldview. I gave a 30 to 35 minute presentation followed by a time for questions and answers. The men who met with us gave me their undivided attention. With my conclusion, I challenged the men to take up their cross and follow Christ. After my presentation, we had a Q & A session. Some very good questions were asked. 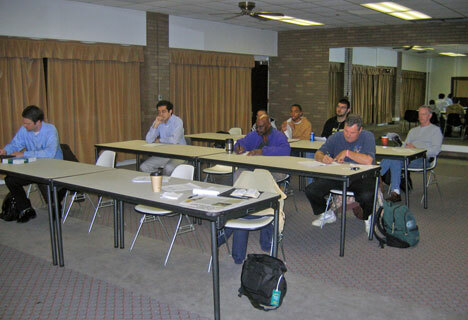 The following picture is of the men during my lecture. Since people from every tribe and nation are found in the university setting, this presents a great evangelistic outreach for Campus Bible Fellowship (see Rev. 5:9). Some remained after our Q & A session and we gathered for one final picture. The above is a nice photograph of the great Isaiah Scroll from Qumran Cave 1 (about 120 B.C., the photo is from the Israel Museum in Jerusalem). In addition to what I mentioned two days back, the net newspaper Art Daily has provided additional information. “On the occasion of the 60th anniversary of the State of Israel, the Israel Museum presents two major sections of the Great Isaiah Scroll – the most complete biblical Dead Sea Scroll document ever found and one of the world’s greatest archaelogical treasures – in a special installation in the Shrine of the Book. 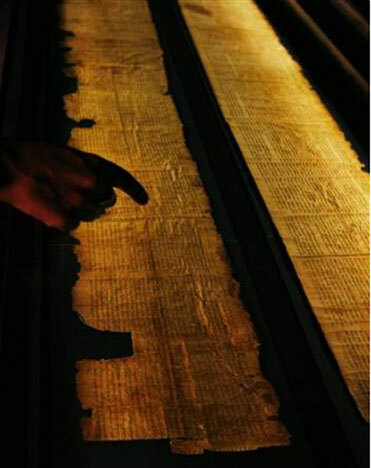 For the first time in over forty years, the public will have the rare opportunity to view the two longest sections of the Scroll.” To read more from this article, continue here. For two websites that provide helpful introductory material on Dead Sea Scrolls, click here and here. A website, hosted by Dr. James R. Davila (prefers being called “Jim”), that I check daily is Paleo Judaica. 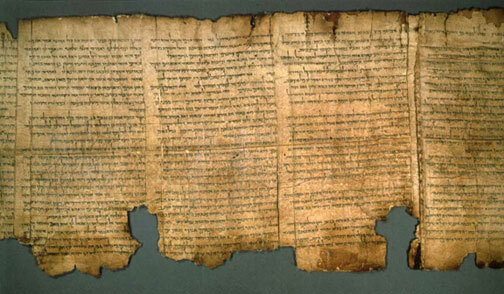 This is an excellent site for staying current on ancient Jewish history and literature, such as the Dead Sea Scrolls. In the above picture (AP Photo/Tara Todras-Whitehil), an employee of the Israel Museum “points at the ‘Book of Isaiah’ from the Dead Sea scrolls at the Shrine of the Book in Jerusalem, Tuesday May 13, 2008.” This is one of the most important Dead Sea Scrolls and it goes on display in Jerusalem this week, “more than four decades after it was last seen by the public. The 24-foot scroll with the text of the Bible’s Book of Isaiah had been in a dark, temperature-controlled room at the Israel Museum since 1967. It went on display two years earlier, but curators replaced it with a facsimile after noticing new cracks in the calfskin parchment.” The article continues here (HT: Jim Davila). How Important Are Family Values in the US? I had completely forgotten the above picture until it somehow surfaced at my son Bob’s wedding in 1999. This picture brings back many fond memories. In the spring semester of 1981 while I was doing my ThD work at Grace Theological Seminary, I dropped out of school for a semester because my wife needed surgery. We were as poor as church mice and had only one inefficient car. As a consequence, I would walk about a mile to work in the early hours of the morning. Because of the cold northern Indiana winters, I grew the beard to protect my face from the cold. Though life was tough, this was a great time for our family for life did not have an excessive number of embellishments. 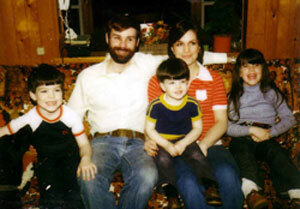 In its simplest form, life was about the family getting dad through school. What had great importance for my wife and I was raising our children in the nurture and admonition of the Lord. As I have watched family values in the US quickly erode over the last fifteen to twenty years, a Barack Obama presidency may cause this erosion to be complete.